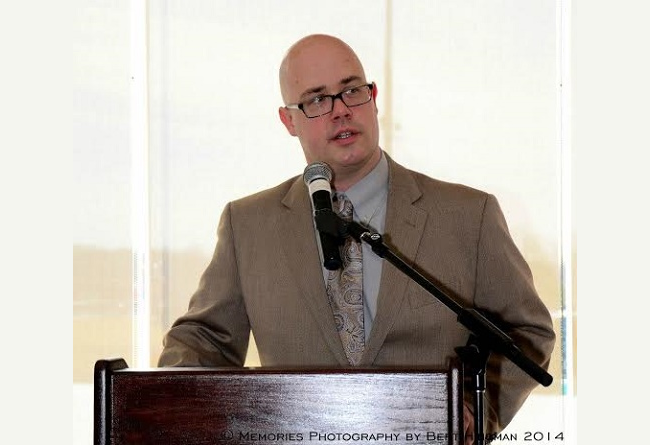 New Britain Bees ownership today announced the hiring of Patrick Day as the team's first General Manager. Day will be in New Britain on Tuesday, December 15 at 11:30 a.m. to hold a press conference at which he will be introduced to the media and will name the team's first ever Field Manager. The press conference will be held at City Hall in Room 504. "We're excited to bring a GM of Pat's caliber on board," says Bees Partner Michael Pfaff. "He is a talented and accomplished executive in professional sports with a passion for delivering a first-class entertainment experience to fans. We look forward to a bright future in New Britain with Pat." Day, a western Massachusetts native, has a wealth of experience, including a decade as a GM, in minor league baseball. He has worked with successful affiliated MiLB clubs (3 years Montgomery Biscuits Assistant GM; 6 years as Lansing Lugnuts GM) as well as in the Atlantic League (3 years Southern Maryland Blue Crabs GM) and was recently named the 2015 Atlantic League of Professional Baseball Executive of the Year. "I'm truly thankful for this opportunity to come home to the New England region and apply my energy, passion and experience into making the New Britain Bees the best experience in minor league baseball," says Day. "Our goals will be to act as outstanding providers of affordable family entertainment, deliver on our promises to our corporate partners and to be a strong member of the community. I'm looking forward to getting to work." The press conference on December 15 will be open to all media members and the public and will begin promptly at 11:30 a.m. Attendees are encouraged to park in the Badolato Parking Garage attached to New Britain City Hall.